I’m putting the finishing touches on our spring patterns and getting ready to photograph the pattern covers, so it’s been fun to see what’s out there in the way of spring fabrics. I often wait until I get back to New York to do a lot of my fabric shopping simply because I know where to get almost anything I need when I’m there (and the selection is truly incredible), but since we’re planning to stay in Madrid for a long time I thought it was about time for me to find sources on this side of the ocean. 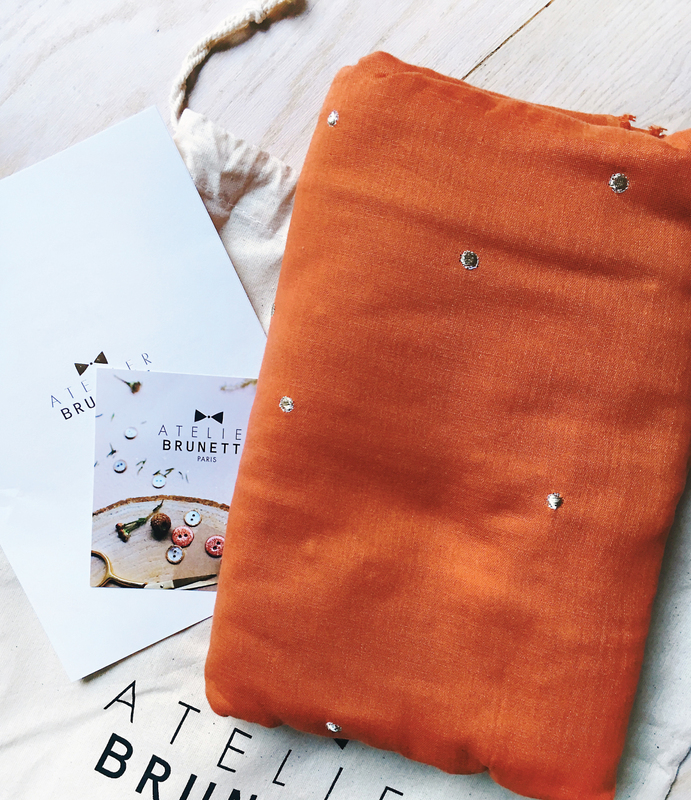 One of my favorites so far is Atelier Brunette, a very cute store in Paris from which my order just arrived as I was sitting down to write this. Isn’t this embroidered double gauze pretty? I’m also waiting for a delivery from The Sweet Mercerie in Portugal, which I’ve never had the opportunity to visit. Plus, a big thank you to those of you who made suggestions on the Oliver + S Friends group the other day. With your help I found a great collection from Art Gallery Fabrics for another kids pattern. From the U.S., to make your lives easier. Can’t wait to show you! Have you found any fabrics that are inspiring you for spring? Tell us about them! 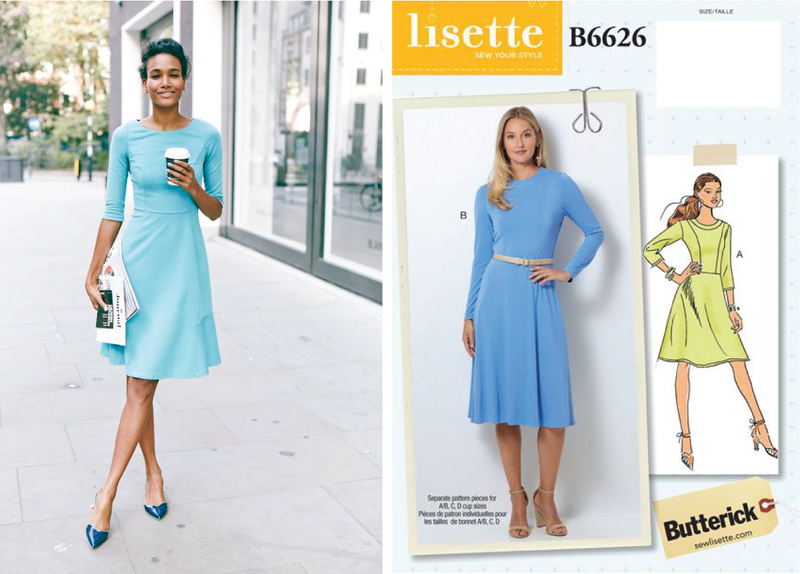 In case you missed it, our new early-spring Lisette patterns are out. This knit dress, B6626, might be a new wardrobe basic, no? Plus, cup sizes! 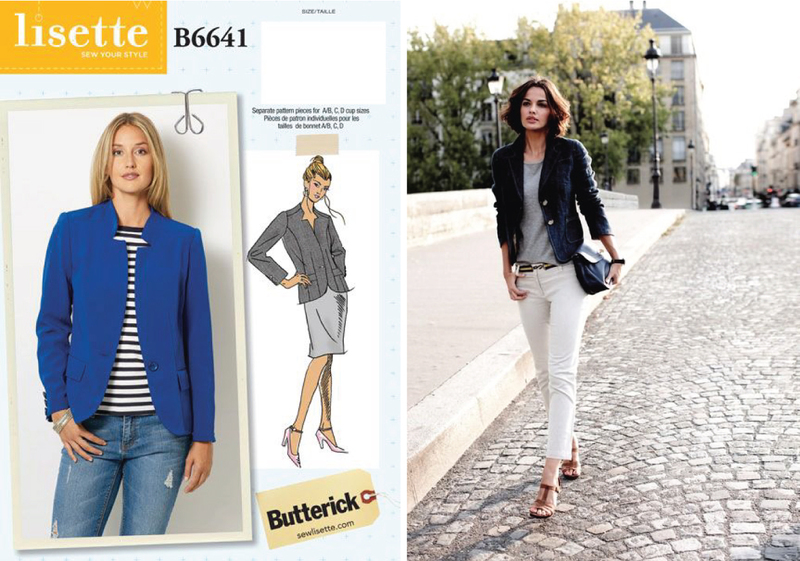 And I’m a big fan of the blazer, B6641, which is one of my personal wardrobe basics. I wore one over my silk Recital Shirt to the ballet last night, in fact! And yes, cup sizes here, too! I’m so delighted Butterick has been willing to do this with me. Isn’t this herringbone knit stitch stunning? 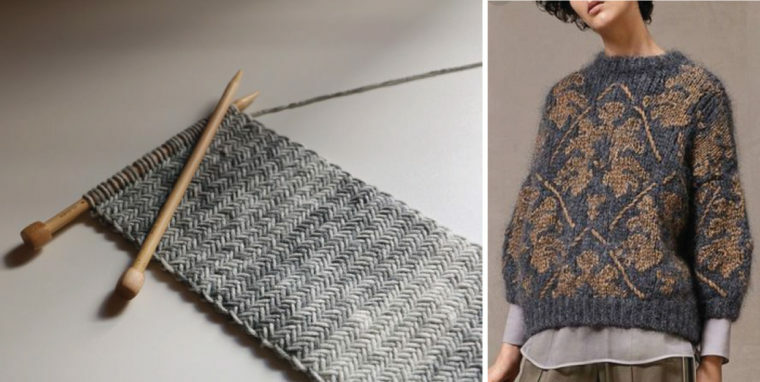 Especially in that variegated yarn! Also, I can’t stop thinking about this sweater and the gold with the grey, below right. Here is a fresh take on velvet or velour that could be worn well into spring. And I love the simplicity of the dress on the right as well. You know you can make these with the Building Block Dress book, right? I really, really like a lot of these fashion tips. You too? This quick re-telling of the Sleeping Beauty ballet by NYCBallet is so brilliant and hilarious, especially Maria Kowroski (Carabosse), the villain! This is not me. Yet. I’m really on the fence about working from home. Anyone else with me on this? Remember when we were talking about clogs? I know these women. Well, not these particular women, but this is a demographic of New York that I know well. Those of you/us who up-cycle are in good company! Also, the numbers given in the first paragraph are staggering, no? My favorite fashion celebrity right now is Meghan Markle, who has great style. (And for the record, I think her wedding dress fit perfectly, especially considering the fabric itself. But that’s a conversation for another day.) Anyway, I would agree that in politics there is a place for discussion about clothing. After all, it communicates so much! My words for 2019 are Joyful and Thankful. And this seems like excellent advice for finding more of both. Can you imagine renovating your house/apartment and finding this behind the wall? Amazing! By the way, have you joined our Oliver + S and Liesl + Co Facebook Groups? And do you follow us on Instagram as @oliverands and @lieslandco? We’re busy posting lots of inspiration and ideas and would love to have you join us if you haven’t already. Plus, it’s a great way to share what you’ve been making. Ok, have a great weekend! We’ll be back next week with some Toronto shopping for you as well as some sew-along announcements. What are you sewing in the meantime? Me? Photo shoot samples for the spring patterns, of course. Have fun! You just have to sign up for a free account and you get a certain number of articles per month. 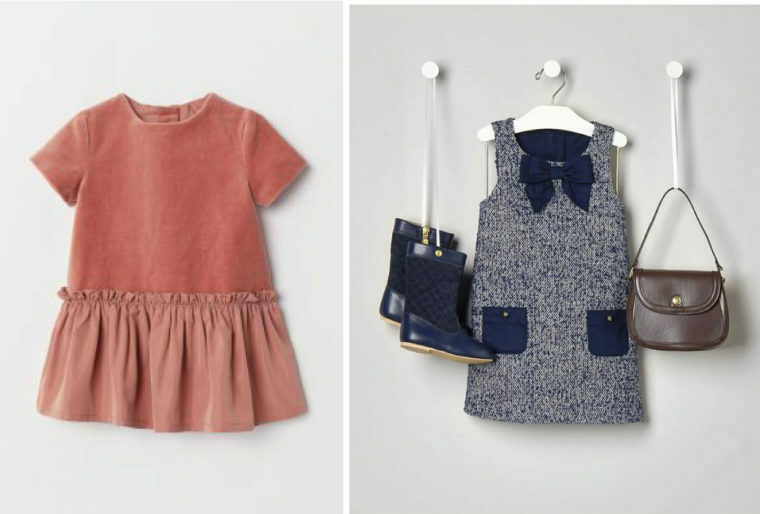 It’s worth the 30 seconds–they post a lot of great fashion stuff! Oh – it’s asking me to pay £1 for 3 months, no free option to be seen. The political outlook of the paper prevents me giving them any money. Sorry, for me I just needed to create a fee account. Maybe in the UK it’s different? Oo, I really like the shirring on that pencil skirt. I just need to finish a few other projects first before I start yet another one. I hope you’ll show us! I wish I had time to do it myself, just for fun. “Make it a NICE bathrobe”: Glued to desk, phone turned off, sporting my superb Lisette B6183 pj’s (in Nick ‘n’ Nora Greek-diner coffee-cup print), so yes, this is me, now. Oh, well, if they’re nice HANDMADE pajamas then it’s a different story altogether, isn’t it?